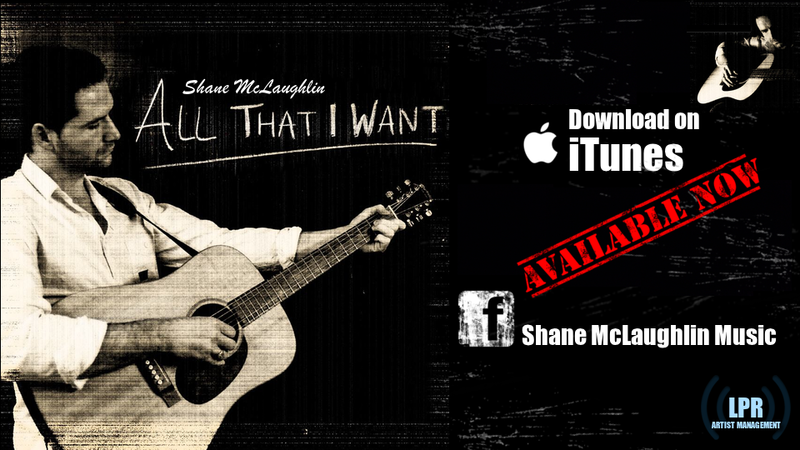 Shane McLaughlin’s debut single “All that I Want” has reached No1 in the singer/songwriter chart on iTunes since it's release on the 26th January, overtaking Passenger’s “Let Her Go” along the way. Shane's Manager, Matthew Lucania of LPR said "I'm a delighted for him, all the hard work and belief is paying off now. Coming out of the Voice was not easy for the lad and some music circles had written him off but I always knew what a talent he was and how successful he could be in Ireland given the right guidance. It's still a long way off our target but nonetheless we are both thrilled". Shane is best known for having competed in the Voice Of Ireland competition on RTE last year. With his performance of “Fake” by the frames he was chosen by Kian Egan and then progressed through the battle stages and the live shows right up to the final where he finished 3rd overall and got to perform live with Steve Wall of ‘The Stunning’. The exposure helped Shane gain some interesting fans too and even received tweets of respect from celebrities such as Frankie Boyle, MC Hammer and Andrew Stockdale of Wolfe Mother on his own original songs. “All That I Want” (the first release from an upcoming 4 track EP due out in March) is a modern day, heart felt Irish ballad that encompasses routes of Irish, Celtic and Rock. The track is simply about love won and lost and ‘not realizing what you have until its gone’. Written in his hometown of Downings, Shane had his band recorded in Blast Furnace, Derry, before vocal recording and mixing duties were taken on by friend and producer Wez Devine (who wrote and produced Irelands last Eurovision song entry “Only Love Survives”) and mastered by Fergal Davis (Muse,etc.). Apart from gigging country wide, since Shane’s success on the voice, he has used the exposure to inspire youths by running creative kids camps and giving motivational talks at secondary schools and also taking part in movember to raise funds for the local oncology unit. Shane (who grew up emulating his idols Freddie Mercury and Michael Jackson in front of a mirror with the old hairbrush mic) has been in numerous bands on his journey - his previous band “Red Light Inferno” received impressive airplay and rave reviews with emotion filled rock ballads like “Envy, Glorious Envy” and “Why So Slow”.